we are sometimes more, sometimes less involved in the „social self advertising platforms“ of our times. WE WANT U 2 B AT YOUR PERSONAL BEST! the best, you can achieve in personal development, training & communication. EVERYTHING IS POSSIBLE! want to be at your best, too? get in touch with us! 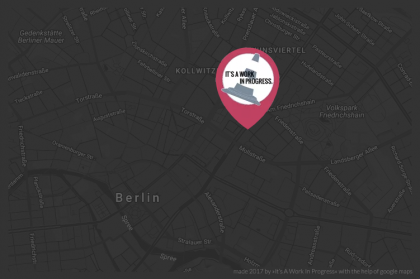 we are: an interdisciplinary design agency and interpersonal communication studio in berlin. we do: personal life & business coaching. mediation. consulting, training and hr development. pr, marketing & media projects. and fashion design. we will help you to create your projects from another perspective. we will help you to unleash your hidden potential. we will uncover new possibilities and different approaches. we will work hard, to get you to your personal best! curious how we work? come & have coffee with us! is an interdisciplinary design agency and interpersonal communication studio trying to make the web and the real world a little bit more human. *I live and work in Berlin (like nearly everyone) and I am working on different projects.